The Pokemon Company has announced its very own official Pokemon Terrarium Collection, launching exclusively at Pokemon Center locations in Japan. 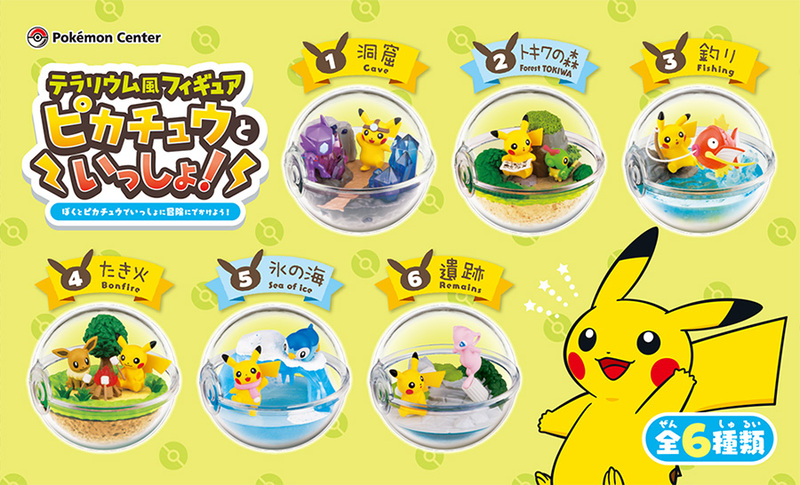 The collection, named Terrarium Figures – Together with Pikachu, features 6 different palm-sized terrariums to collect. You can’t choose the design you want as they are in blind boxes. Each terrarium has a special setting and contains different Pokemon. Terrarium Figures – Together with Pikachu launches August 10, 2018 at all Pokemon Center locations in Japan for 800 yen each (exclusive 8% sales tax).